In October of 2018, DV Radio went live with our first Round Table Discussions. A new show that goes further in-depth with issues that plague the Veteran community. In this first episode it was all about access issues with Service Dogs. PTSDog a.k.a Joaquin Juatai, host of The Service Dog Show and author of PTSDog: POST TRAUMATIC STRESS DISORDER AND THE SERVICE DOG; J.J. wanted to get together with some other Veterans that do and have had Service Dogs for quite some time to discuss what's going on in the country today. Each one has their own views and opinions as well as experiences on the matters that are brought up and discussed. Not only do each of them go into detail about their personal accounts, but we also spoke about the two law enforcement that had responded to calls that involved Service Dogs. Not only do we address the stigmas with having a Service Dog but we debunk a few myths along the way pertaining to the ADA and you can find links down below. 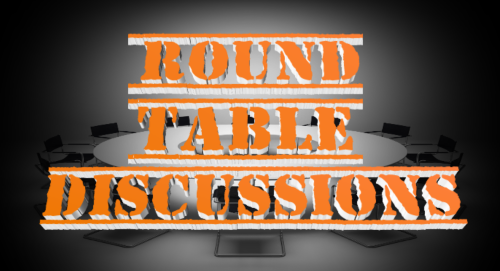 If you have any questions, comments, suggestions for upcoming Round Table Discussions or just want to discuss the topic at-hand, please leave a comment or send us an e-mail. Want to see the full video? Head over to our YouTube channel right here!